If you would like to register your Indic8tor Product then please fill in the details below so that you can get the most update software to download the regularly updated database of speed camera locations. 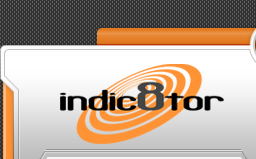 In addition to the above subscription Indic8tor is offering the first 3 months for free. For instance if you select option 1 you will receive 15 months subscription to our camera location database updates and unit updates. Please Select Ideal World Undetected Magazine Search Engine TV Advert Other Website Other Where did you purchase your Indic8tor ? I want to receive an email newsletter containing all the latest offers, products and competitions, and to be kept informed about products and services from the Indic8tor range.